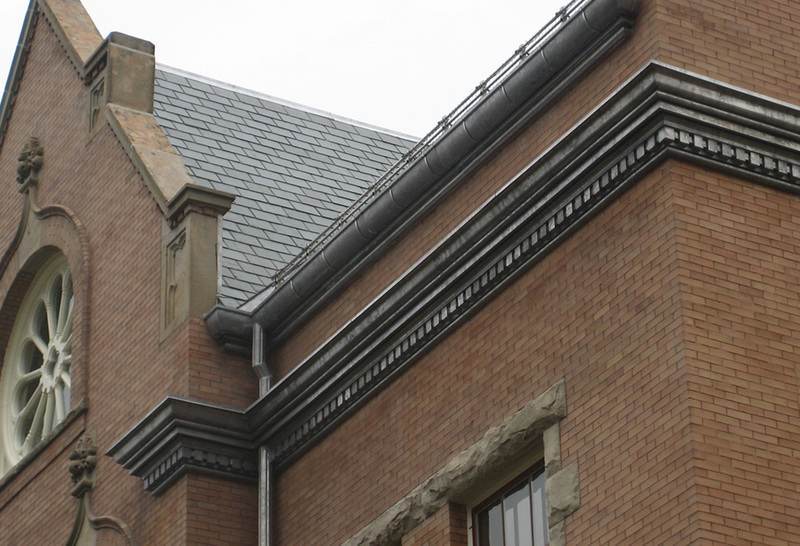 Heather & Little provides clients with sheet metal cornice restoration services for both historic and new buildings. Metal roof cornices are a type of decorative molding that is designed to extend past the edge of a roof or cornice band at various levels on a building. 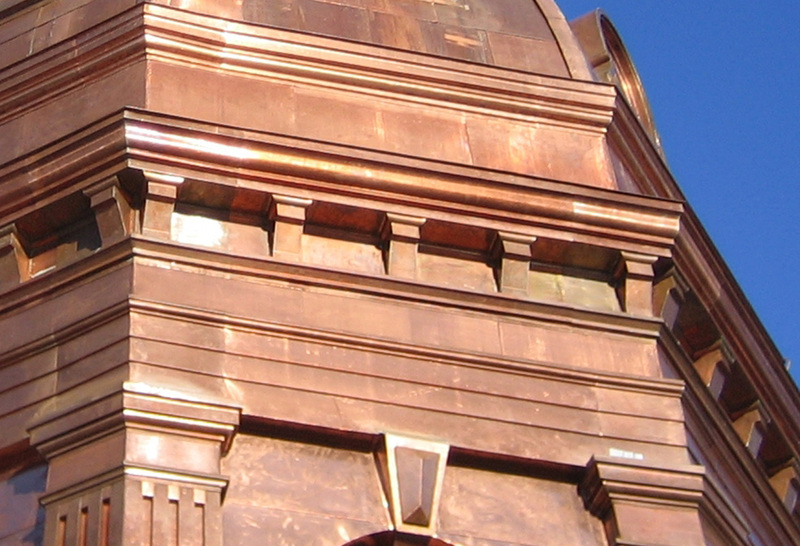 Typically, metal cornices are fabricated using any number of sheet metals such as copper, lead coated copper, zinc, stainless steel or galvanized steel. 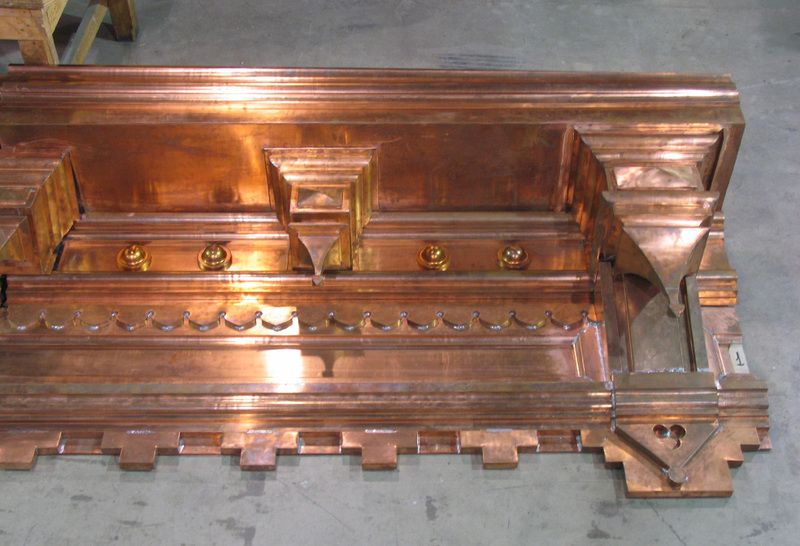 No matter if you require a stamped metal cornice or a simple style cornice, our artisans can design and create the beautiful metal features you need to complete your building project. With over 90 years’ experience in the sheet metal fabrication industry, Heather & Little has worked on some of the most intricate roof cornices on many of North America’s historically significant buildings. 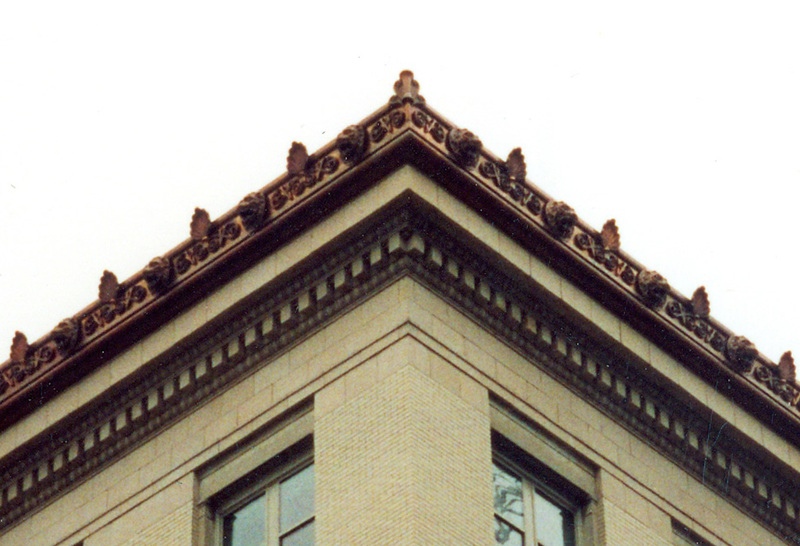 Our team uses both modern and traditional fabrication methods to create roof cornices that match perfectly to your building’s existing features. 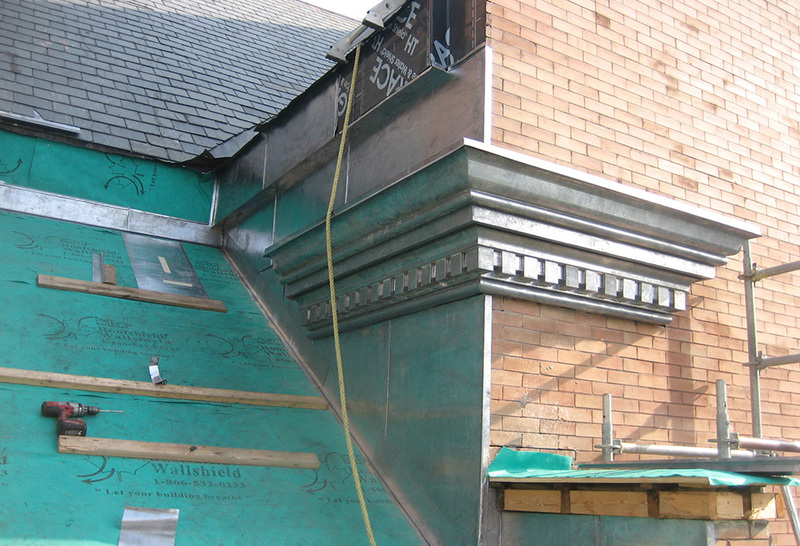 Since 1925, Heather & Little has made use of our extensive skills and knowledge to restore, reproduce and custom create sheet metal cornices for architecturally significant properties. 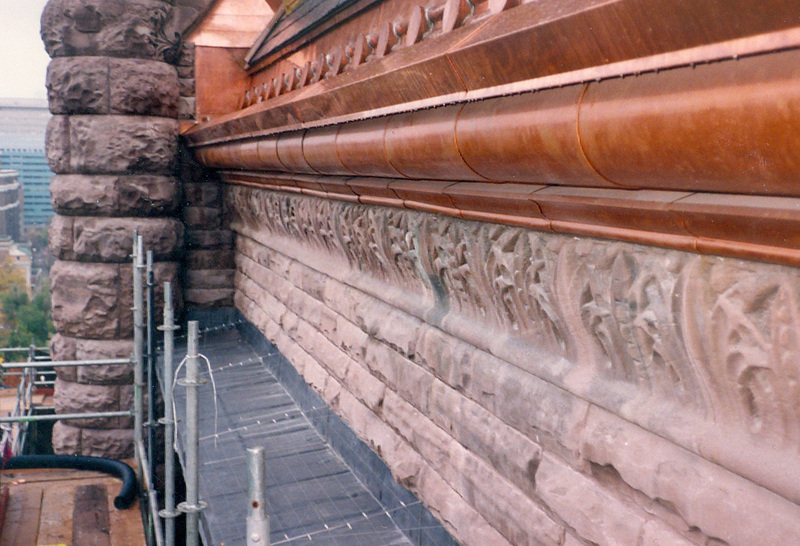 Our team of roof cornice restoration specialists have many years of experience in recreating historic cornices or restoring existing cornices to their original appearance. 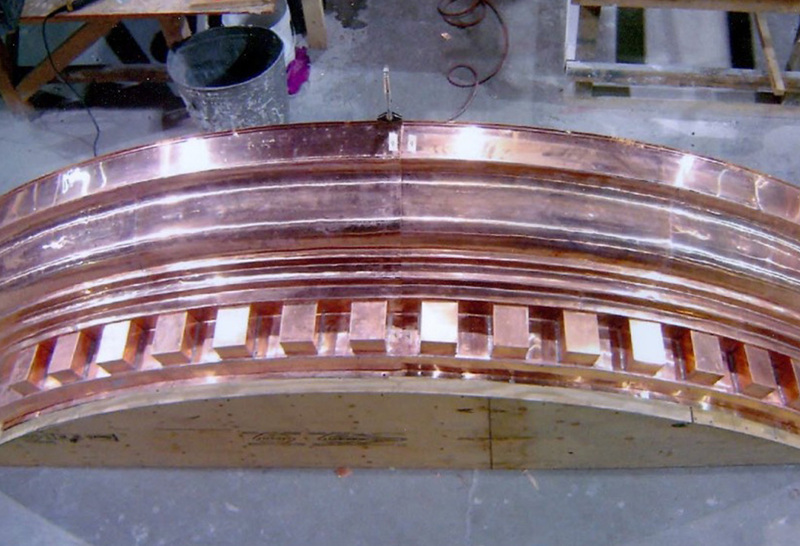 Using a combination of innovative techniques and time-honored methods, we can fabricate nearly any type of metal cornice! If you would like to learn more about our sheet metal cornice restoration services, please get in touch with Heather & Little today. Our team would be happy to speak with you about your cornice project and advise you on the best materials and methods for restoration. This 115 year old brick building features a beautiful decorative metal cornice and wrought-iron balcony railings. Dingle Tower is a commemorative monument built in the early 1900s to recognize the 150th anniversary of the establishment of representative government in the province of Nova Scotia.